Black Diamond Golf Club is a par 72 championship golf course with four tee decks, allowing all skill levels to enjoy this spectacular layout. The course measures 7042 yards, 6527 yards, 6087 yards, 5411 yards and soon to come, a junior set of tee blocks approximately 3500 yards. 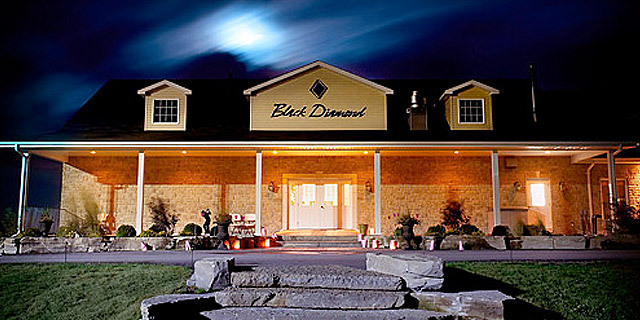 Black Diamond Golf Club is carved out of the deep woods and the foothills of the Kawartha Oakridge Moraine. While soaking in the surrounding vistas, golfers are welcomed to an incredible golf experience and a spectacular view. Black Diamond Golf Club will continually excite and challenge you. It has tree lined rolling fairways, fescue, sculptured mounds, multiple elevation changes, emerald green water hazards, a double green and 70 bunkers.